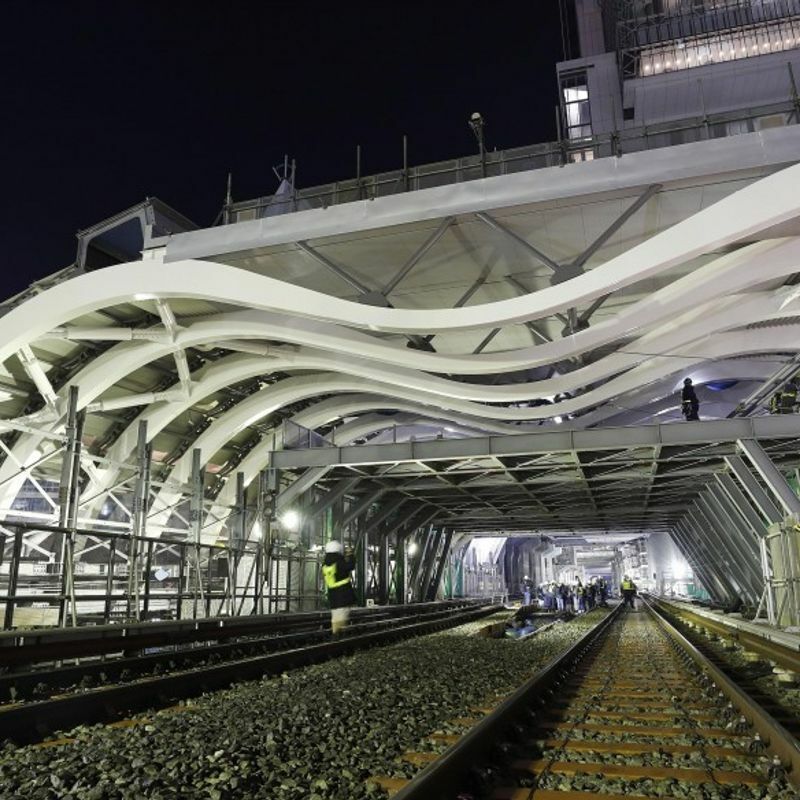 TOKYO - A distinctive-looking white roof was unveiled over a new metro platform at Tokyo's Shibuya station on Thursday as the famous tourist and nightlife hub's large-scale redevelopment progresses apace. During an early morning media preview, the M-shaped structure was slowly inched toward the new Ginza Line platform that operator Tokyo Metro Co. plans to open to passengers by the end of March 2020. 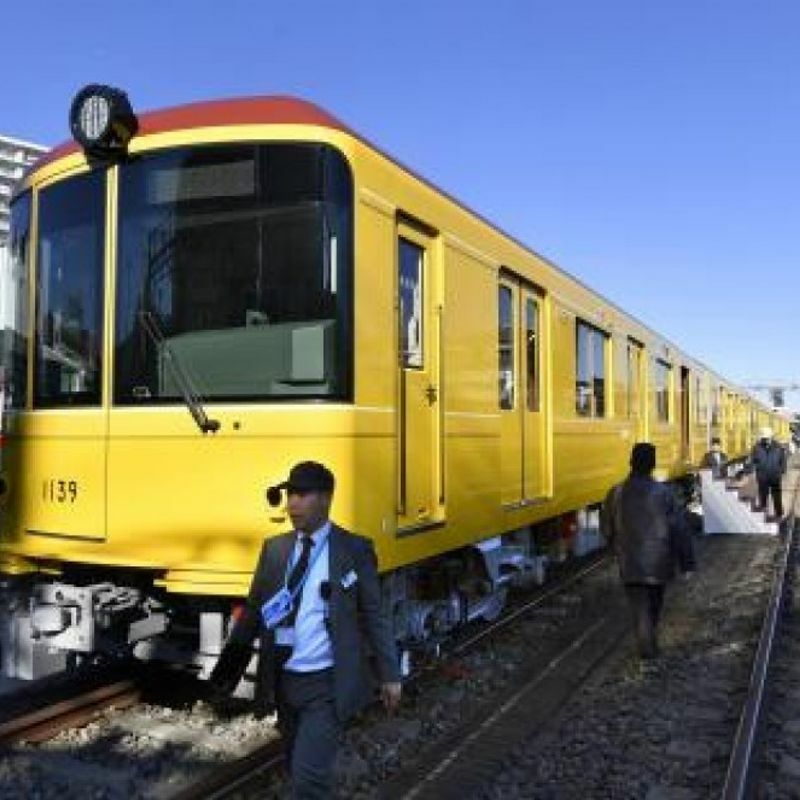 The line's two working platforms in Shibuya, currently located on an upper level inside the station building, will be moved outside and along the tracks by 130 meters, putting it above the busy Meiji-dori Avenue. 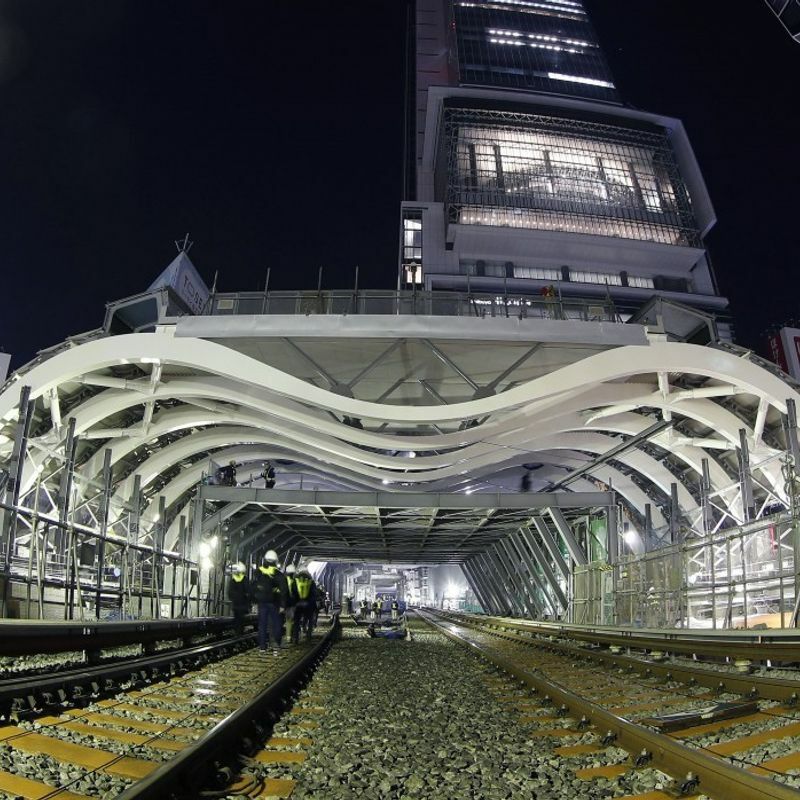 According to Tokyo Metro, when finished the structure with its prominent wavy beams will be 110 meters in length, 28 meters wide and 9 meters tall. The 29 billion yen ($263 million) project is scheduled for completion in August. On Thursday, a 22-meter section -- one-fifth of the total length -- of the structure designed by architect Hiroshi Naito, a professor emeritus at the University of Tokyo, was maneuvered into place. The Ginza Line, Japan's oldest metro services, opened in December 1938. 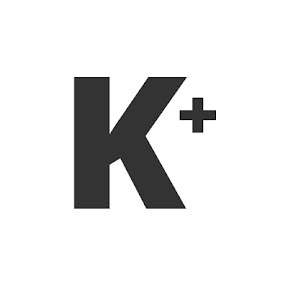 In 2009, the company began work to relocate the station so passengers can more easily transfer to and from East Japan Railway Co.'s Yamanote loop line, one of Tokyo's busiest, and other trains. 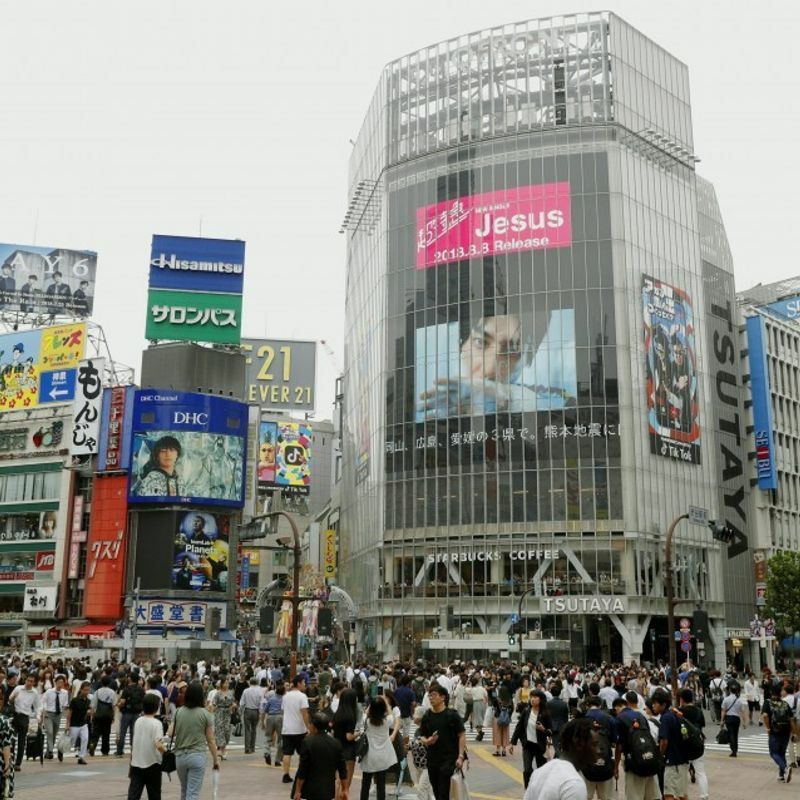 Known for its famous scramble crossing, Shibuya is one of the major transport, business, tourism and shopping hubs in the Tokyo metropolitan area. A number of high-rise development projects are underway and planned for the 2020s, according to developer Tokyu Corp, as the area undergoes a major renewal.